The U.K. will boost investment in electric-car infrastructure, including a 400-million-pound ($531 million) fund for companies that produce and install charging points, as it seeks to encourage consumers to move away from carbon-polluting vehicles. New street lighting columns also will be required to have charging points in areas with on-street parking and a 40-million pound program will be introduced to test low-cost wireless charging technology, in other measures unveiled Monday by Transport Secretary Chris Grayling. The proposals are part of the government’s push to end the sale of new cars and vans fueled by gasoline and diesel by 2040. “The prize is not just a cleaner and healthier environment but a U.K. economy fit for the future and the chance to win a substantial slice of a market estimated to be worth up to 7.6 trillion pounds by 2050,” Grayling will say in a speech to mark the government’s “Road to Zero” strategy. 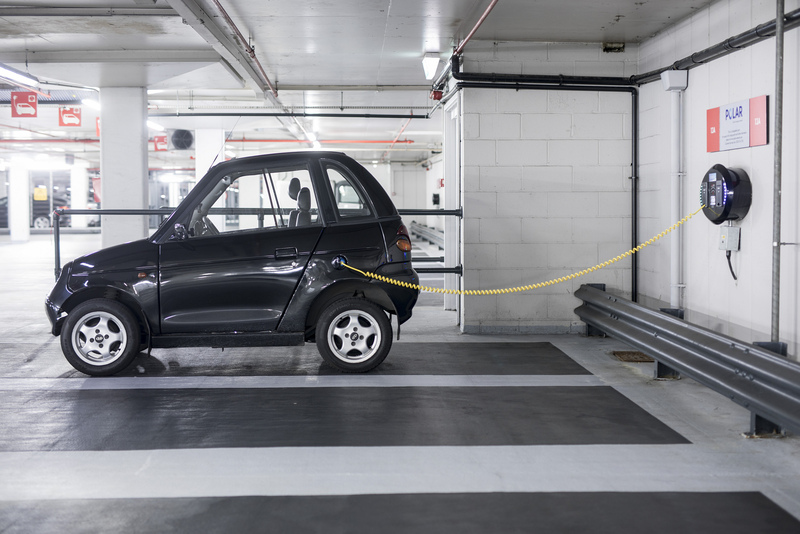 A lack of charging points is seen as one of the main impediments to the mass adoption of electric cars, which are unable to travel as far as conventionally fueled vehicles. While gasoline prices have surged this year, the U.K. Treasury is growing increasingly concerned about the public health cost of air pollution and is considering the first boost in vehicle fuel duties in eight years.